Beyond 2019, West Papua Media will be intensifying efforts to support our network of frontline clandestine journalists, source networks and partners in West Papua, with training and supply for secure communications and documentation capabilities, including with the continued project to test and supply secure smartphones to frontline story gatherers, so that they are able to report from the field without being arrested or killed for it. We urgently need your support for daily and long term work. Please donate directly to us below via Bitcoin or via our bank below. Stripe platform currently under creation. 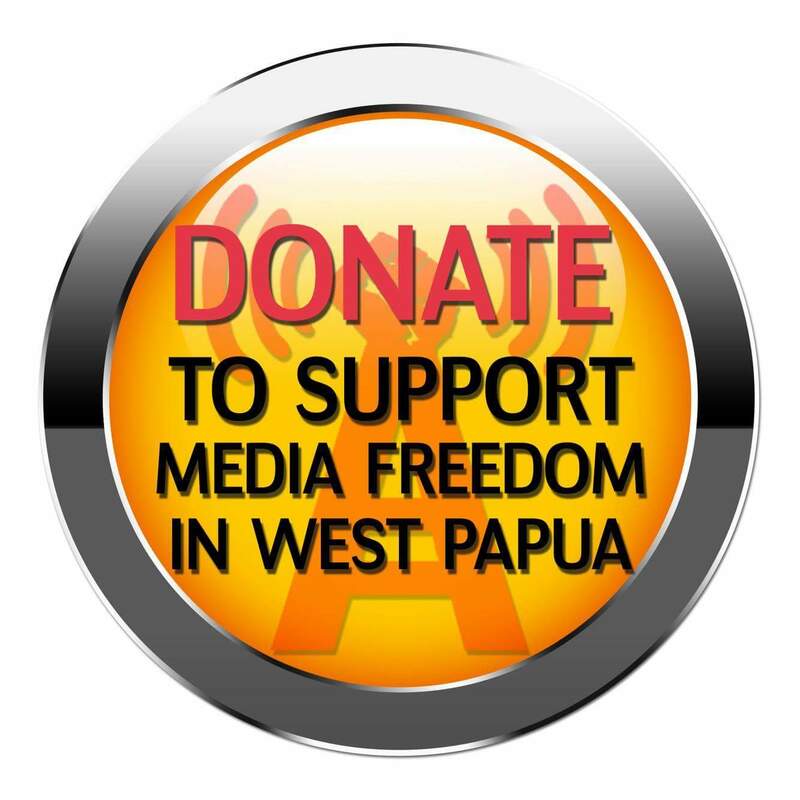 PLEASE NOTE: DUE TO A CERTAIN GOVERNMENT PREVENTING PAYPAL FROM ACCEPTING FURTHER DONATIONS FOR A NON-INCORPORATED PROJECT LIKE WESTPAPUAMEDIA, WE WILL NO LONGER BE ACCEPTING DONATIONS VIA PAYPAL. WE ARE INVESTIGATING A NEW WEBSITE DONATION METHOD – IF YOU WISH TO MAKE A DONATION PLEASE USE BITCOIN, MAKE A BANK TRANSFER, OR CONTACT US DIRECTLY. When journos are banned, who better to tell the story than the people who live it. The overall mission of West Papua Media is to assist in the development of a robust and fearless media that can deliver accountability for all aspects of life in Papua. We want to stop people from being afraid of speaking out, and we want West Papua’s voice to be its weapon, to broadcast its songs for Freedom. Effective citizen and professional media training is required to develop awareness of major current and future challenges to safe information dissemination – these are all programs that the West Papua Media network is currently engaged in and it needs help to increase its capacity. All of this costs money, and requires the international community to understand that the development of indigenous journalism in West Papua is crucial to the protection of human security and peace across the entire Asia-Pacific region. It requires international institutions in media and academia to pool resources and help identify new sources of sustainable funding to start training journalists in innovative new media reportage techniques, and to support their work for the global human interest. 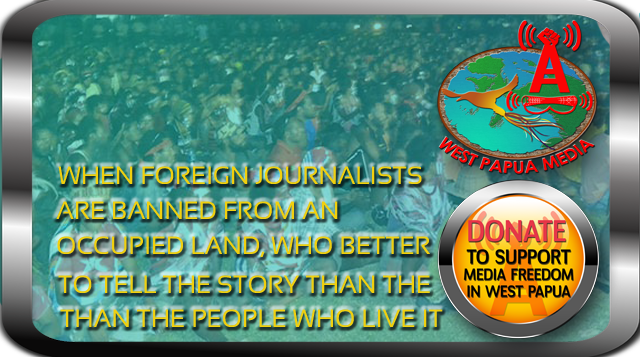 West Papua Media already has training programs ready to go, we just need the funds to make them happen. 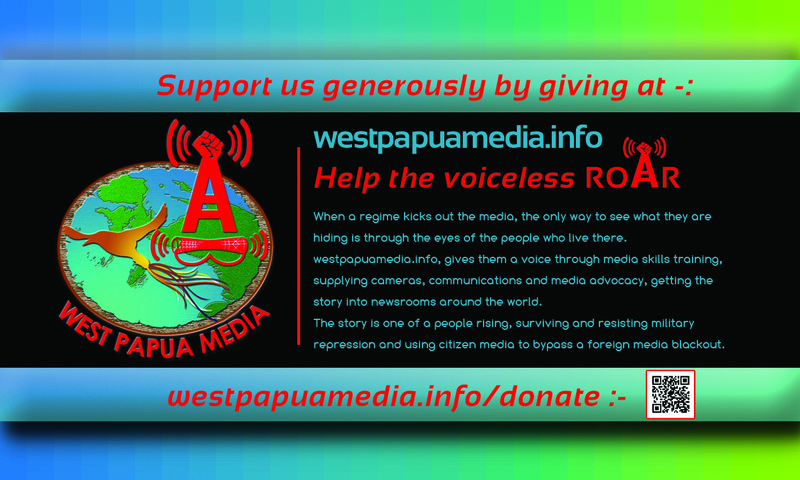 Right now is an absolutely critical time for westpapuamedia.info. We have been groundbreaking in the coverage of events on West Papua and have got to international media hours of footage in fast time about the brutality of the Indonesian military. But this all costs lots of money. We have very little. We are seeking subscription style donations, so we can budget, and we are keen to also increase our crowd funding potential. Even small regular donations are useful and will add up. We have recently upgraded our video sharing capabilities, and also need to make sure our stringers can keep pumping out the video. They require support on the ground. Just take a look at our work and the media coverage that is occurring because we are pushing hard. This exposure is creating real change. However, we need sustainable funding, and we run the very real risk of having to close down without support. Please do not let this occur. Where and how can I purchase a West Papua freedom Flag? sorry for the delay in getting back to you – We do not sell them as being independent journalists we cannot take a public position on West Papuan independence. That is entirely for West Papuan people to self-determine. Of course we will report on it however. Paul Curwood Edward sent me this news report, so I have donated $10 towards this campaign. Sorry its not much, but I’m a pensioner in Australia. All our best wishes and support to the people of West Papua.